Are you a shopaholic? Do you love buying and collecting things? You probably have an attic full of old comics, CDs or DVDs, a pantry full of stuff which you have forgotten about and perhaps a wine cellar with wines whose vintage you no longer remember. If this is similar to your story, you need an Intelliscanner Mini to organize your stuff for you. 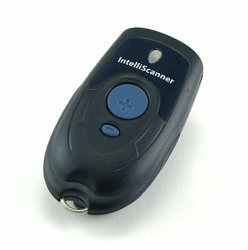 The Intelliscanner Mini is a very simple gadget. It scans barcodes, transfers them onto your computer and with the help of its preloaded software organises them. It's as simple as that! The Intelliscanner Mini scans up to 150 barcodes and the pre-printed asset codes for those products that don't have a barcode and stores the information. And it does not require a computer for it. Now, you simply download the entire list onto your computer and get yourself organized. The Intelliscanner Mini includes software to manage your wine collection, home inventory, groceries, books, CDs, DVDs, and even comic books! It is powered by standard watch batteries with integrated scan and delete buttons. So you can scan any where and delete scanned barcodes anywhere. It automatically organizes your books, DVDs, CDs, or games Collection. With a single click the Auto Fill technology provides you with detailed information. 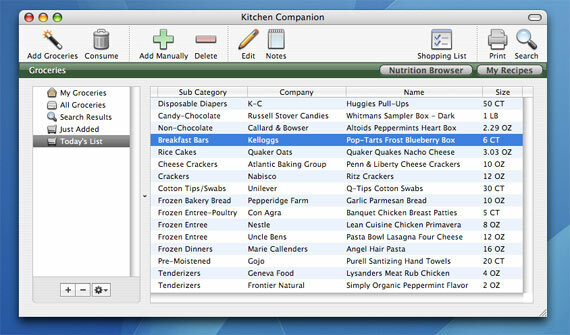 It also makes your shopping list, keeps track of your nutrition and the pantry stock. So next time you want to try out an exotic new dish, check out with the Intelliscanner first if your pantry has all the ingredients!